How to make my boat profitable with Nautal! You may ask, “How can I make my boat profitable with Nautal?”… Here at Nautal, we work with more than 16,000 boats. This is why it is normal for there to be a bit of rivalry between boats for top positions per search. Does it worry you that your boat doesn’t appear on the first page in a search? Want to increase your number of boat rentals? Today we’ll teach you how to make your boat more profitable and how to achieve a better positioning amongst the other boats on our site. Factors that affect your positioning! When we speak of positioning, we’re referring to the position in which your boat appears when a user searches our site. For example, when a user searches for a catamaran in Ibiza, your boat will appear in one position or another depending on some factors. Let’s find out some of them.. Take notes! When a user requests a boat, there is a tab which contains all of the information relevant to the customer. Having a good listing is essential for your boat to appear in one of the top positions. Make sure that all technical data is available, that your boat has an attractive description and contains good photographs, so that the customer will know what the boat is like from the onset. On the other hand, it is vital that whenever you receive a request that you respond with an offer. The customer will see activity on the part of the owner and this should definitely speed up the rental process. In short, good communication always results in success and satisfied customers. Finally, price! The more competitive and attractive your price is, the more interest the user will have in your boat. At Nautal, we want that our customers find the best prices according to their interests. Of course hoping that boats with the most reasonable prices or discounts appear first. When an advertised boat has pictures, there is a sales conversion of 75%, especially if the user is already interested in the boat. Your potential client will be interested in seeing the appearance, aesthetics and condition of the boat before spending any money. In addition, boats that do not have photographs always appear in less prominent positions than those that do. In the same way, uploading catalog photographs won’t do the trick, especially if they are far from the reality of the real state of the boat. Real, accurate photos certainly instill great confidence in potential customers when they are considering a boat charter. Remember, on average your conversions increase by 50% for every 5 photos that your boat has available. Let’s be honest, before eating at a restaurant we first want to find out whether it’s good through reviews. We are less likely to go to the restaurants with bad or no reviews. The same occurs with boats. The boats with reviews will be better off and the amount of reviews your boats have will be reflected in the amount of trust users choose to place in you. 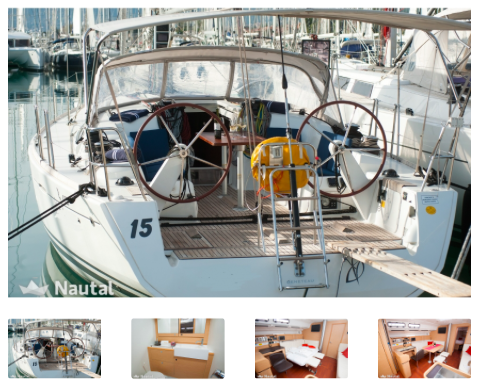 Therefore, don’t forget to tell your clients to share their experience on the Nautal website after their charter. If you have already implemented all of the above tips and your positioning still isn’t very good, you also have the option of optimized positioning. This new feature ensures that your boats appear in one of the top three positions when users search for an area and boat type. You can request more information about this service if you are interested. These are Nautal’s top tips to making your boats even more profitable. Have any questions? Don’t hesitate to leave a comment, we will be gladly respond as soon as possible!